There is a better way to make pico de gallo. There are 7,502,231 recipes on the internet. I counted. All exactly the same. Chop some stuff. Mix it up. Eat. But there’s a better way. No surprise there’s a million recipes on the internet. Pico de gallo is damn tasty stuff. Everybody loves it. It goes with all sorts of things. A burst of bright flavour anywhere it goes. More often than not you get a big watery mess in the bottom of your bowl. And that mess is where the flavour is. The lime. The salt. Neither of these are really the end of the world but if you want to make your pico de gallo better then here’s a couple tricks. It’s two really easy added steps. That’s all. Takes a few minutes of your time and fixes things up nicely. Overall you will wait about an hour for best results but it’s completely unattended time. Get a haircut. Go golfing. It’ll keep. The first is to deflame your onions. I didn’t come up with the term. I learned that from Rick Bayless. It’s simple. A bit of genius really. Just toss your chopped white onions into a strainer and run it under cold water for 10 seconds. It takes the bite out of the onions. Can you spare 10 seconds? The second is to strain your tomatoes. There are a couple advantages to this. You don’t have a pico in a puddle. More importantly, the lime and salt balance stays the same. It doesn’t all wind up in the puddle. If you deflamed your onions then your strainer is already dirty. Put it to good use. Let the pico sit for up to an hour before you do the final salt and lime tweaks. Two easy steps. Same ingredients. 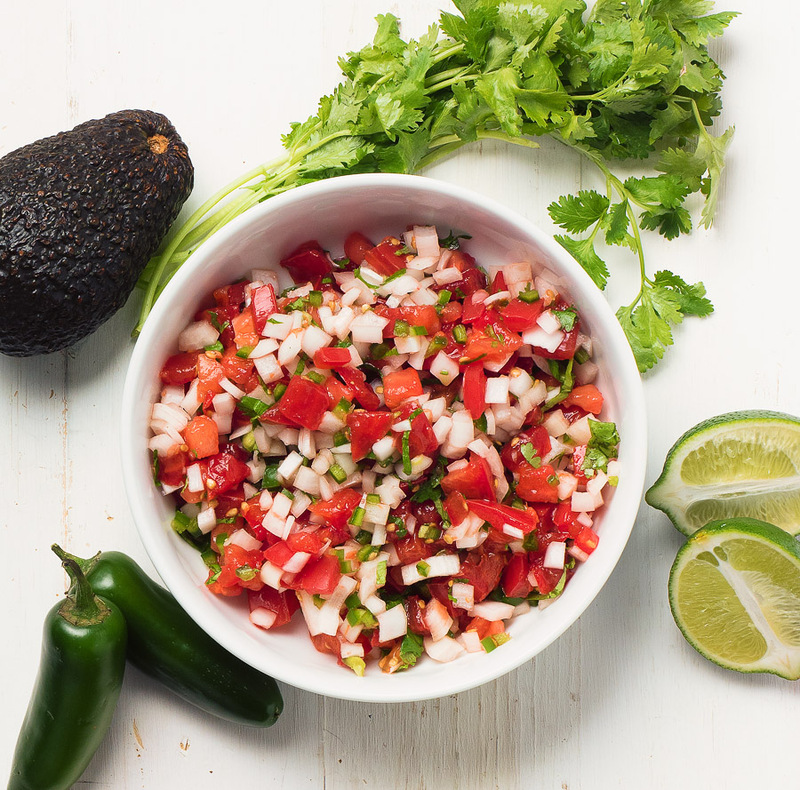 A better way to make pico de gallo. 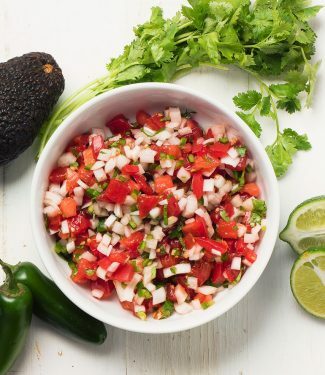 Deflame your onions and strain the pico to make the perfect pico de gallo every time. Seed and devein the jalapeño, then mince it finely. Chop the white onion. Place it in a strainer and run under cold water for about 10 seconds. Combine the tomato, jalapeño, onion and cilantro in a bowl. Add salt and lime to taste. Place the pico in the strainer, put it over the bowl you used to mix the ingredients and let drain for up to one hour. Discard the liquid that accumulates. Taste and adjust the salt and lime to taste. In mexican, sides and stuff. Bookmark the permalink. 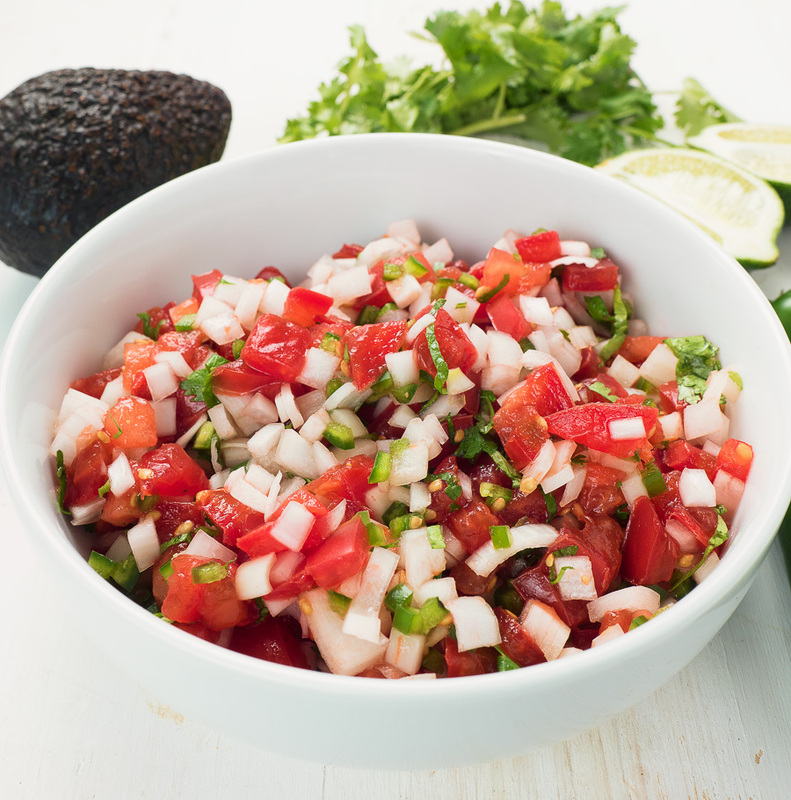 I love a good pico de gallo recipe! (Particularly since it’s a weekly occurrence around here.) When I worked in a restaurant, we always gave our onions a cold water bath–that is a pro tip right there. And I will definitely strain my salsa next time–I hate the puddles. 🙁 Thanks for these secrets to kick up pico de gallo a notch! Haha. Thanks for the validation of my “pro” tip! This is great. I cannot STAND runny pico de gallo! Totally makes sense to strain it, thank you! I’ve never heard of deflaming onions before, sounds interesting, I can’t wait to try it! I can’t stand it either. You can apply the same idea to greek salad as well. Just chop and salt the tomatoes and let them sit in a strainer. When tomatoes are at their peak you can drink the juice you collect as well! 2 simple but very useful tips! I love the onion tip especially, I’m really not into super-strong onion flavor that takes over the entire dish! I will try this next time I make pics!